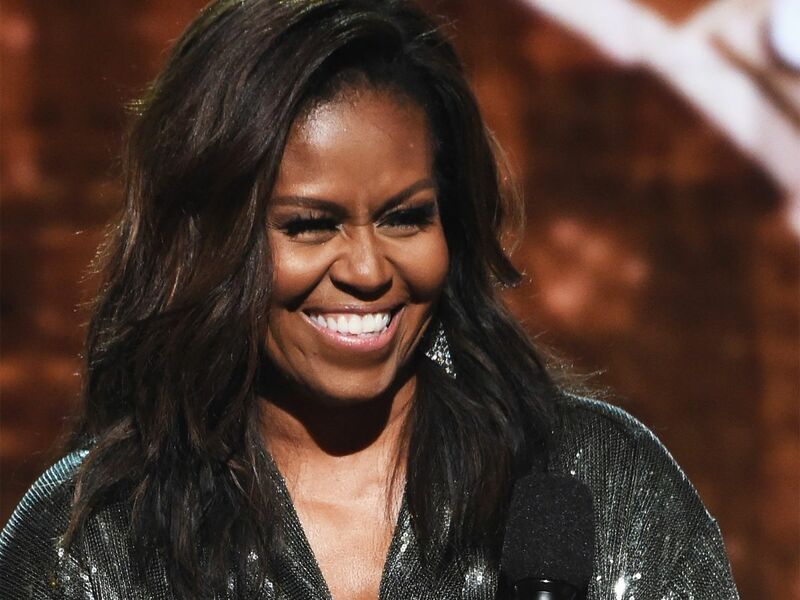 Michelle Obama is living her best life two years after leaving the White House. It’s refreshing to see our former FLOTUS, The Civilian, finally relax after meticulously calculating her appearance during her eight years in Washington. She’s given us all kinds of high-fashion on her book tour for Becoming (Balenciaga! Cushnie! Pyer Moss! Givenchy!) and on the Grammy stage on Sunday night. In an unexpected, awe-inspiring moment, Obama opened the show with host Alicia Keys, Lady Gaga, Jada Pinkett-Smith, and Jennifer Lopez — each woman speaking about the power music has had over their lives. Obama, however, stood out in a glittery silver jumpsuit. “From the Motown records I wore out on the South Side to the ‘Who Run the World’ songs that fueled me through this last decade, music has always helped me tell my story,” she said. Malia and Sasha Obama’s mother explained her appearance at the Grammys, tweeting: “A big part of friendship is showing up for your girls—that’s why I was thrilled to be there for the one and only @aliciakeys at the #GRAMMYs She is one of the most genuine and thoughtful people I know—there’s no one better to help us all celebrate the unifying power of music! And while what she said really resonated with the audience, Twitter users at home couldn’t stop tweeting about the look — not what we blame them.